Airbnb makes it to the top 10 list in UK, Thailand, and Malaysia. Booking.com comes out strong at No. 1 followed by Gobibo, while direct bookings on hotel websites continue to be among the top-earning channels worldwide. 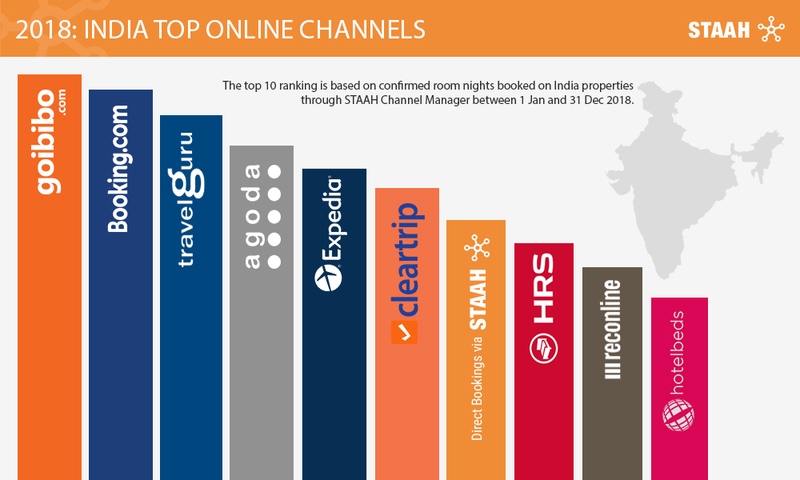 In its annual round-up STAAH, a leading cloud-based platform that helps hoteliers acquire more guests online has revealed the top booking channels for hotels. The results are based on more than 12.9 million room nights that were processed on STAAH’s channel management platform in 2018 for its 6000+ partner properties in more than 80 countries. Booking.com emerged at the top spot followed by Gobibo, Agoda and Expedia. Direct bookings via hotel websites also remain in the top 10 list with global distribution systems (GDS) also featuring in the top 10 lists of many regions. The top channels list also includes wholesalers, an important provider of online bookings to properties around the world as well as Airbnb that has shot to a No 3 position. A leader in the sharing economy, Airbnb completed its integration with STAAH late last year.